Wrap-Up Magazine: Do You Really Believe R. Kelly Is Broke? Personally, I don't believe R&B singer R. Kelly is broke. If I was under so much pressure and knew I was guilty, I would take my money out of banks just as soon as it hits the media. It would be hidden among other people and family members. Why else would someone he don't know would bail him out of jail willingly? Last month, R. Kelly attempted to dodge the $161,000 he owes in child support, which landed him in a cell at the Cook County jail for three nights. Amid the release of Surviving R. Kelly, the Chicago singer was also sued by his landlord for failing to pay his rent, prompting his creditor to seize his accounts. As a result, recent court documents show that one of the singer's bank accounts is currently sitting in the negatives. The filings obtained by the outlet show that the singer's bank account with Wintrust Bank is at negative $13. 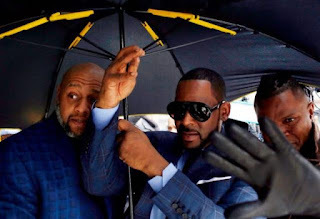 Although R. Kelly has two other bank accounts with Bank of America, $150,000 was seized from him as part of the court order, leaving the singer with just $625. The landlord is still owed $50,000, which the company is asking Sony to handle. Let's think outside the box for a minute. This is R. Kelly we are talking about here. This man has had more hits than anyone I know in the music business. That's like saying all of his album barely sold or only went gold. Take a second to breathe, then let me know the truth after everyone figure things out. This is a big mess. Kells can't be broke with those platinum albums over the years?